carpets, clothing, wood, drywall, etc. It can cause health problems, for example:“ … mold … can cause … allergic reactions such as asthma or allergic rhinitis, non-allergic reactions such as headaches, and other symptoms [including] lung and breathing infections” (Health Canada, 2003). We first determine if the floor contains any wax, oily residue, or other contaminants. We also find out what method is needed. The cleaning process includes multiple applications of cleaning solutions which PRODUCES NO DUST WHATSOEVER! Surface accumulations of common household pollutants such as food residues or pet oils are removed without abrading your floor. Hire a Towers Restoration and Cleaning Carpet & Floor Care to clean up the water and make repairs as needed to your house. 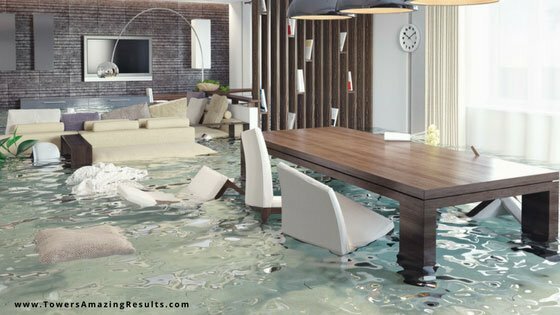 Towers Restoration and Cleaning Carpet & Floor Care is certified and training in water damage restoration and mold remediation.